William Smith, A Delineation of the Strata of England and Wales, with Part of Scotland, 1815. Daniel Crouch Rare Books will be exhibiting at the largest Map Fair in Europe which takes place at the Royal Geographical Society. 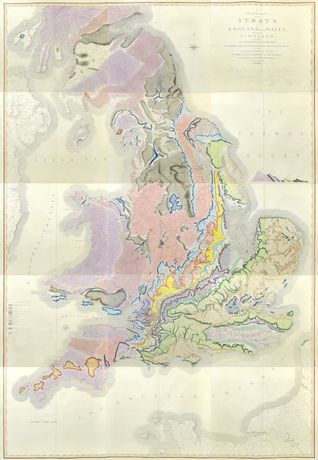 Among the highlights the gallery will be presenting are 'The Map That Changed the World' an 1815 edtion of Wiliam Smiths first geological map of the British Isles and a 'Bue' map of China, an extraordinarily rare cartographic document based on research originally presented to Qianlong emperor by Huang Qianren (fl. 1760-70) in 1767, showing China at the height of the Qing Empire.